Spinocerebellar ataxias are dominantly inherited progressive ataxia disorders that can lead to premature death. We aimed to study the overall survival of patients with the most common spinocerebellar ataxias (SCA1, SCA2, SCA3, and SCA6) and to identify the strongest contributing predictors that affect survival. In this longitudinal cohort study (EUROSCA), we enrolled men and women, aged 18 years or older, from 17 ataxia referral centres in ten European countries; participants had positive genetic test results for SCA1, SCA2, SCA3, or SCA6 and progressive, otherwise unexplained, ataxias. Survival was defined as the time from enrolment to death for any reason. We used the Cox regression model adjusted for age at baseline to analyse survival. We used prognostic factors with a p value less than 0·05 from a multivariate model to build nomograms and assessed their performance based on discrimination and calibration. The EUROSCA study is registered with ClinicalTrials.gov, number NCT02440763. Between July 1, 2005, and Aug 31, 2006, 525 patients with SCA1 (n=117), SCA2 (n=162), SCA3 (n=139), or SCA6 (n=107) were enrolled and followed up. The 10-year survival rate was 57% (95% CI 47–69) for SCA1, 74% (67–81) for SCA2, 73% (65–82) for SCA3, and 87% (80–94) for SCA6. Factors associated with shorter survival were: dysphagia (hazard ratio 4·52, 95% CI 1·83–11·15) and a higher value for the Scale for the Assessment and Rating of Ataxia (SARA) score (1·26, 1·19–1·33) for patients with SCA1; older age at inclusion (1·04, 1·01–1·08), longer CAG repeat length (1·16, 1·03–1·31), and higher SARA score (1·15, 1·10–1·20) for patients with SCA2; older age at inclusion (1·44, 1·20–1·74), dystonia (2·65, 1·21–5·53), higher SARA score (1·26, 1·17–1·35), and negative interaction between CAG and age at inclusion (0·994, 0·991–0·997) for patients with SCA3; and higher SARA score (1·17, 1·08–1·27) for patients with SCA6. The nomogram-predicted probability of 10-year survival showed good discrimination (c index 0·905 [SD 0·027] for SCA1, 0·822 [0·032] for SCA2, 0·891 [0·021] for SCA3, and 0·825 [0·054] for SCA6). Our study provides quantitative data on the survival of patients with the most common spinocerebellar ataxias, based on a long follow-up period. These results have implications for the design of future interventional studies of spinocerebellar ataxias; for example, the prognostic survival nomogram could be useful for selection and stratification of patients. Our findings need validation in an external population before they can be used to counsel patients and their families. 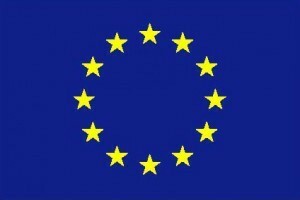 European Union 6th Framework programme, German Ministry of Education and Research, Polish Ministry of Scientific Research and Information Technology, European Union 7th Framework programme, and Fondation pour la Recherche Médicale.